This time of year I watch my kids excitement as they like to go out to Vala’s Pumpkin Patch in Gretna, Nebraska. I saw this video and thought I would give you a taste of what they see. It is a lot of fun and the weather was super this fall. If you have never been there, it is a great place to see. Tim and his family have built quite a business. It is a great story! The following video looks at harvesting pumpkins and why it is important to pick pumpkins now and store them. Steps involved. Pumpkins are cut and put into rows for collecting. The reas0n for picking and storing is to get them out of the field. Predators, sun and moisture can actually hurt the pumpkins at this time. By picking the pumpkins and brought into a cool, dry place. 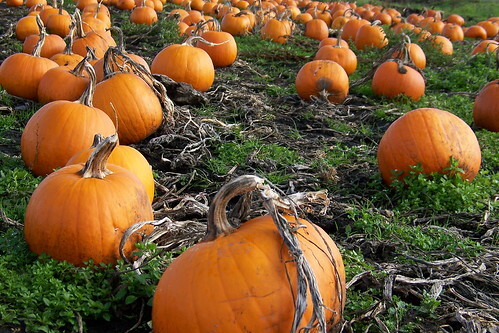 Pumpkins if picked and stored properly can last up to a year.